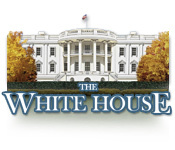 The White House is rated 3.6 out of 5 by 7. Rated 5 out of 5 by Gretty from I love this game Very interesting storyline, love the music, recommend. Rated 5 out of 5 by marciabuck2 from so much fun this game had so many challenges to it. i really love trying to find the different objects. its a good game for u and a friend. Rated 4 out of 5 by callout3 from has tech problems I enjoyed the game however, several times I had to get out of the game and reload as it hung up. The story was good and it was easy to play when working some items were very hard to find as they really blended in but otherwise it was good. Rated 3 out of 5 by cbilbo from Quick game The graphics were great! I finished this game in less than 4 hours. I don't know what it was, but I whizzed through this game really fast. Not very challenging. Rated 3 out of 5 by dianeke from Get it Right! 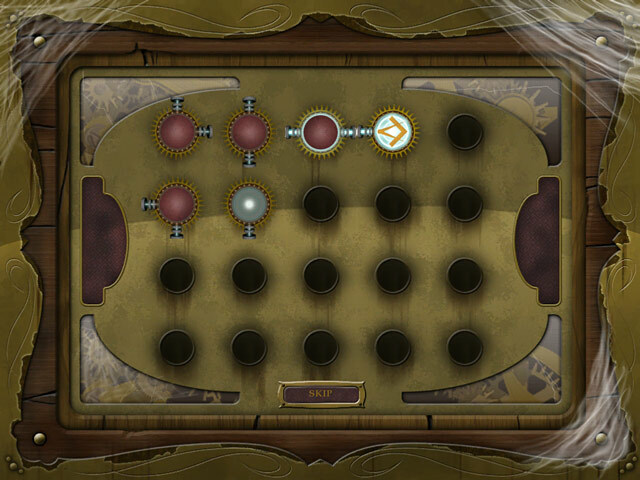 One thing that REALLY bothers me with hidden object games is when the creators don't know what the objects they're "hiding" are! That's the case here. Don't call a putty knife a trowel, etc. If you don't know the proper name for something, DON'T USE IT!!!! It's that simple. Spoils the game for me! Guess I'm too old to enjoy this because I know the proper names for these objects! Rated 3 out of 5 by abitmore from From playing the demo, only... A student helps the Secret Service in finding her conspiracy-theorist professor. 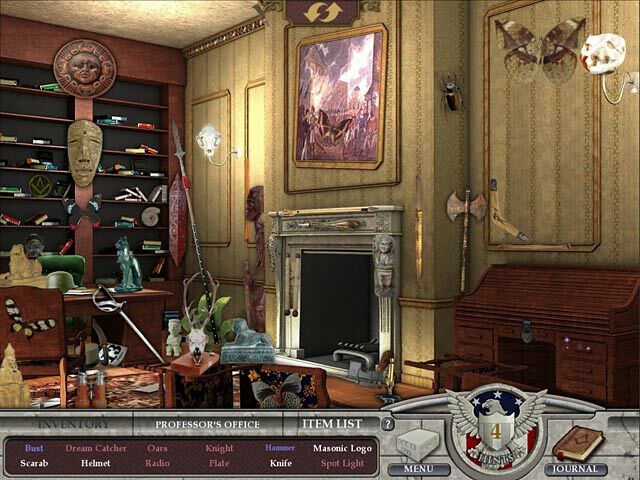 This is an all-Hidden Object Game with a puzzle or mini-game thrown in just every now and then. Not my favorite but okay every now and then. Items were very small but fairly easy to find. If I had trouble finding something I had to resort to a Hint because the hidden objects were too small most of the time. You can click on the item's name and see the silhouette of the item. You earn Hints by finding all-seeing eyes. I only played the demo so cannot speak to the length. I was disappointed that I was not given much info - if any - about the rooms and/or objects in them. The storyline was interesting and the game seemed to follow along and keep my interest. However, the small objects made my eyes too tired to continue. Rated 2 out of 5 by kttyfx from Too short I was totally enjoying the game, but after just a short time, the game was over, it was way too short.